Šachovnice s figurkami tvořená 32 figurkami podle filmové předlohy Waltera Disneye the Mickey Mouse & Minnie Mouse, Donald Duck & Daisy Duck, Pete & Goofy s detailním zpracováním. 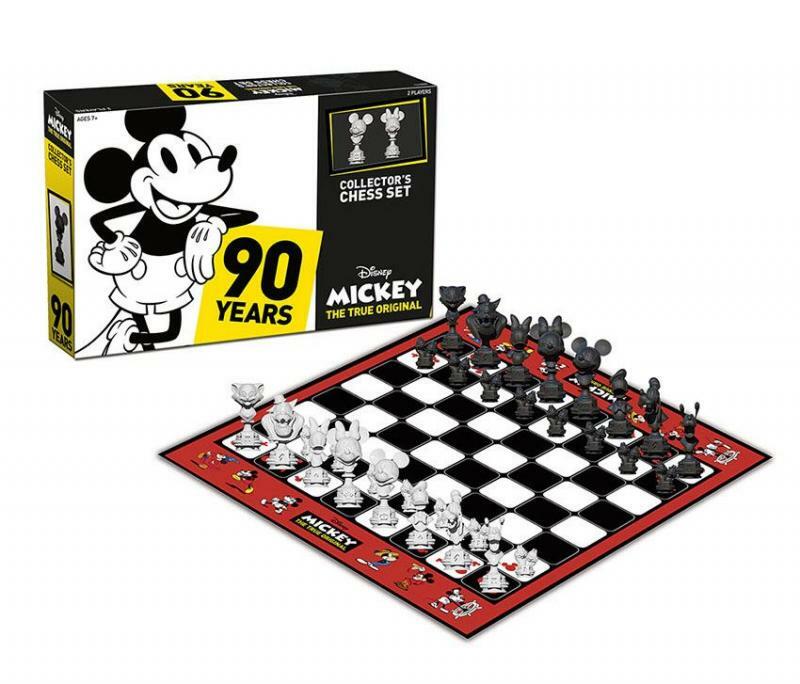 Celebrate 90 Years of Magic with Mickey, The True Original, in this classic chess set featuring universally known and loved characters from Disney s timeless franchise! Mickey Mouse & Minnie Mouse, Donald Duck & Daisy Duck, Pete & Goofy, and more stand in familiar positions on the board for one player to overtake their opponent s pieces, making Disney Mickey The True Original Collector s Chess Set fun to play for beginners and nostalgic for savvy folks! Challenge your friends to a game of chess with 32 highly detailed custom sculpted vinyl pieces. Each piece is approx. 3-6 cm tall.